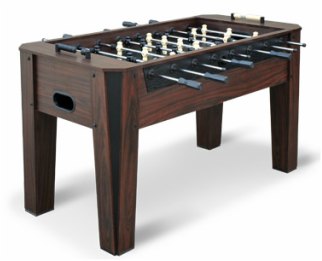 Similar to the Majik 3200, this table offers a smaller design that packs a punch for kids. 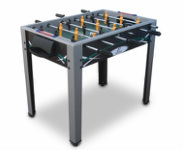 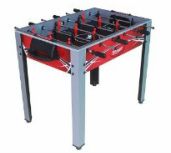 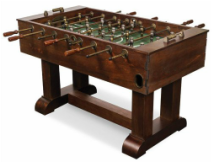 This little table is a great way to get kids interested in the game without the large price tag that we recommend you spend if you have a serious foosball player on your hands. 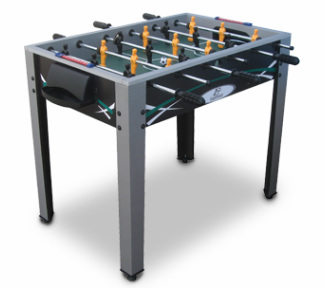 Equipped with yellow and black men, 3 rods on each side of the table instead of 4, and bead-style scoring on each end of the table, its a great small table to offer at an entry-level.